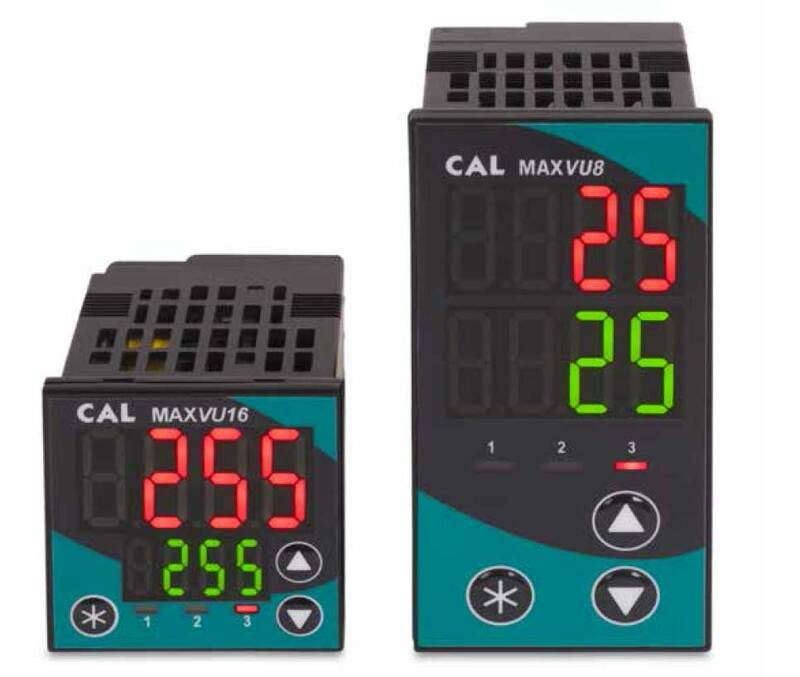 Temperature and Process Controllers MAXVU16 and MAXVU8 (CAL Controls) - BG electric e.K. MAXVU16 and MAXVU8 has been designed to offer essential temperature control in a device that’s easy to install, fast to program and with improved display visibility. MAXVU provides an affordable solution for applications where primary temperature control functions such as heat only or heat/cool are needed, it offers a universal input and up to 3 outputs with a choice of either relay or SSR. Typical applications include packaging processes such as sealers and many more.